Gov. 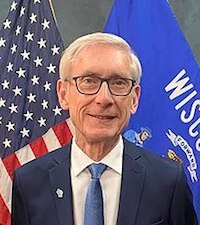 Evers Backs "Iowa Model"
Wisconsin Governor Tony Evers has indicated that he will be including non-partisan redistricting reform, based on the "Iowa Model" system of redistricting, in his 2019-2021 biennium budget. Common Cause in Wisconsin (CC/WI) has long supported the Iowa Model as the best process for Wisconsin to replace the current, hyper-partisan gerrymandering that produced among the most skewed, rigged legislative and congressional districts in the nation in 2011. Since 1980, Iowa has utilized a redistricting process in which a non-partisan legislative agency draws the state legislative and congressional districts every ten years, after the decennial census, according to a strict set of criteria that requires that contiguity and compactness be prioritized and that past election results, or even the homes of incumbent legislators not be considered in the drawing of the voter maps – and that the Legislature may vote only up or down, with no amendments, for the maps drawn by the legislative agency. In Wisconsin, that entity would be the non-partisan Legislative Reference Bureau (LRB). 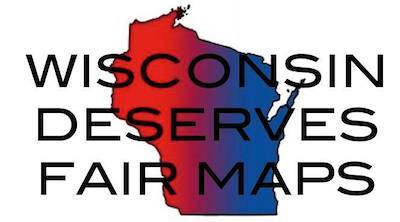 Unlike the single, one-day public hearing that was held in 2011 for the consideration of the gerrymandered voting maps, this reform measure calls for a public hearing to be held in each of Wisconsin's eight congressional districts so that the public will have ample opportunity to weigh in on the voting maps drawn by the non-partisan LRB. CC/WI will carefully examine the redistricting reform legislation contained in the budget and seek opportunities to improve and strengthen it, if necessary. We look forward to the participation of the citizens of Wisconsin in this process as we move towards building a stronger democracy in this state through the ending of partisan gerrymandering of state legislative and congressional districts. Next Tuesday, February 19th, Wisconsin voters in some municipalities and school districts will have the opportunity to narrow the field of candidates for school board seats and other local offices on their April 2nd Spring Election ballot. You can find out right now if you have a Spring primary election in your municipality by entering your address here on the MyVote Wisconsin website. Why show up for a local election? Because school and local government officials represent you and your neighbors – and the decisions they make can have a direct and profound impact on your local community. If there is a primary in your area, don't miss this chance to make your voice heard at the ballot box! Take some time now to look over the information below to ensure you have what you need to vote next Tuesday. You can ask for AND vote with a provisional ballot. But, for your ballot to be counted, you MUST either come back to your polling place with an acceptable form of ID before it closes at 8:00 pm on Tuesday OR bring your ID to your municipal clerk's office by 4:00 pm the Friday after the primary election (February 22nd). Before you head out to the polls, check to see that you are registered to vote at your current address. If you are not, be sure to bring a proof of residence document (hard copy or electronic on your cell phone or tablet) when you go to the polls on Tuesday so that you can register there. Remember: EVERY election is important. Don't miss this opportunity to have a say in who represents you at the local level! Last November’s elections in Wisconsin produced the largest voter turnout for a mid-term (non-presidential year) election in Wisconsin’s history – approximately 60 percent of the eligible voting age population. Turnout would have been even higher if this state did not have among the most extreme and restrictive voter suppression laws in the nation. This unprecedented voter turnout demonstrates the power citizens have at the ballot box to effect change -- when they turn out to vote – and how their voices can still be heard, even when they are confronted with serious obstacles to democracy such as restrictive voter identification laws, rigged voter maps through partisan gerrymandering, and millions of dollars of outside special interest group dark money election spending that seeks to determine the outcome of elections instead of the voters. It’s a lesson Wisconsinites need to take to heart and embrace for all elections. This coming April 2nd – less than than two months away – Wisconsin voters will decide the outcome of a very critical Wisconsin Supreme Court election. Long-time Chief Justice Shirley Abrahamson is retiring and her seat on the court is up for grabs. Deep-pocketed special interest groups are preparing to spend millions of dollars to dictate the outcome of this election. And then, another critical Wisconsin Supreme Court election will be at stake in April of 2020 which could determine the ideological composition of the court and the direction Wisconsin will take for years to come. Voter turnout is traditionally much lower in Spring elections than in those that take place in November. The approximately 20 percent voter turnout for the state supreme court election last April was considered unusually high. 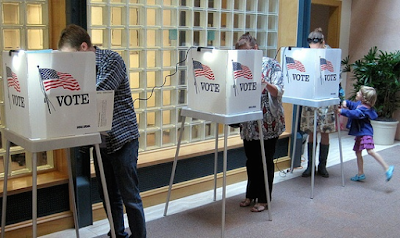 Most Spring elections garner a voter turnout in the 10 percent range statewide. A significant issue in that election last April was whether or not Wisconsin judges at all levels should be forced to abide by reasonable recusal rules when they are the beneficiary of campaign contributions or outside spending by special interest groups. Wisconsin currently has the 47th weakest recusal rules in the nation. In 2018, the candidate favoring stronger recusal rules won election to the state high court. The current recusal standard, which leaves it up to judges to decide whether they should recuse themselves or not, was written by one of Wisconsin’s biggest dark money special interest groups – Wisconsin Manufacturers & Commerce – and was adopted as written by WMC, verbatim, by a narrow 4 to 3 majority in 2010. Even Illinois has stronger recusal rules than we do. Two years ago, 54 retired jurists, including two former state supreme court justices, petitioned the Wisconsin Supreme Court to adopt some specific, sensible recusal standards but they were rebuffed and rejected by the majority on the court who further, denied even a public hearing on the matter. That is outrageous and an insult to all Wisconsinites. It looks like it’s up to the voters to demand stronger recusal rules from the state’s highest court and support for these rules from all judicial candidates. The very integrity of our judges at all levels – from the state supreme court to municipal court judges is on the line. 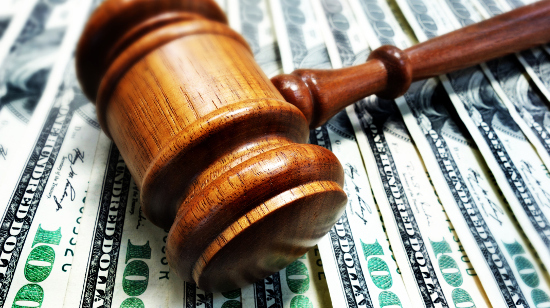 If a plaintiff or defendant before a judge has provided that judge a campaign contribution (or spent money in the judge’s behalf or against the judge’s opponent) above a certain, reasonable threshold, the judge should step aside. Fairness, impartiality and common sense demands it. As a citizen, you should too. As the Spring election draws nearer, Wisconsinites should keep in mind that transformational change for the good is possible if they vote in spite of the obstacles that have been erected to make that basic citizen duty more difficult. And they should demand basic accountability and transparency by way of stronger recusal rules from their judiciary. Don’t sit on the sidelines. Engage and participate. Your vote and voice make a difference.